As one of the most important features of your home, your roof deserves quality services. When you invest in new roofing, you need to consider the quality of both materials and the installation. Working with a reliable roofer can help ensure the excellent quality of your system. They can also help make the process smoother and hassle-free. 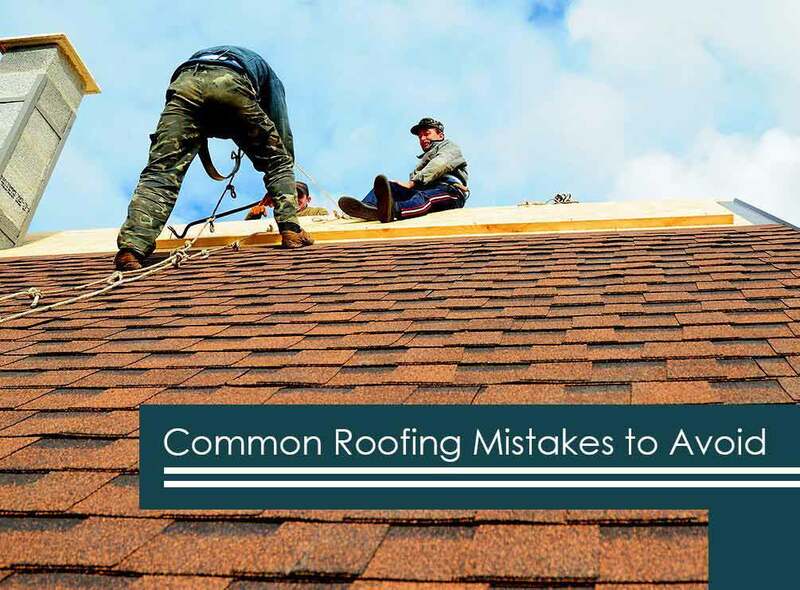 Tedrick’s Roofing, the leading roofing company in the area, suggests working with a professional like us to avoid these roofing mistakes. Contractor’s insurance spares you from any expenses in case property damage happens or a worker is injured during the course of your roofing project. If the roofer does not have enough insurance to pay for the damages, you would be shouldering these expenses. A reputable roofing company always provides documentation of their insurance policy to confirm that they are insured. Tedrick’s Roofing is a fully registered roofer in the state of Washington. In addition, we carry a full worker’s compensation and liability insurance coverage of up to $2 million. This ensures your protection in case any accidents occur during the project. Roofing manufacturers have specific rules on how their roofs must be installed. Different items, including the number of nails per shingle, determine whether the manufacturer stands behind their warranty if the roof fails before the end of its projected service life. Tedrick’s Roofing is proud to be one of the top roofers certified as a GAF Master Elite™ contractor. This gives us access to the brand’s full line of high-quality roofing materials. As one of the leading manufacturers in the industry, GAF certifies only the top 3% of roofers in the industry. They have demonstrated extensive knowledge on roofing and its installation practices. When you work with us, you can expect no less than exceptional roofing services backed by industry-leading warranties. Enjoy the benefits of your new roofing system for years when you turn to Tedrick’s Roofing. We are proud to serve communities in Tacoma, WA, and the nearby areas. Call us today at (817) 212-9355 or (253) 499-9660 to learn more about our products and services. You can also fill out our contact form to request a free estimate.